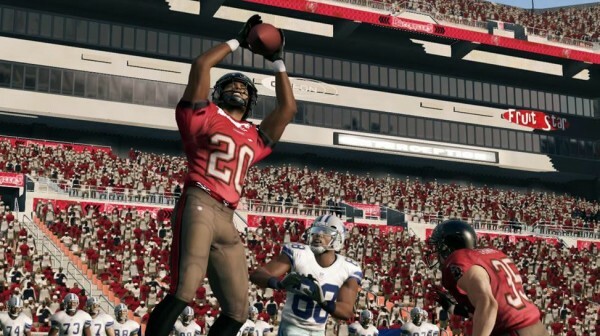 Madden is one of the oldest franchises in the industry, spanning nearly 20 years of releases on a large variety of consoles. 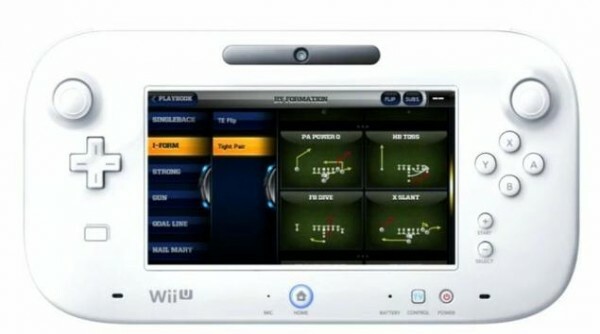 Madden NFL 13 is now out on the Wii U, catering a sure to be solid launch title for fans of the pigskin, while incorporating the Gamepad into the control scheme. 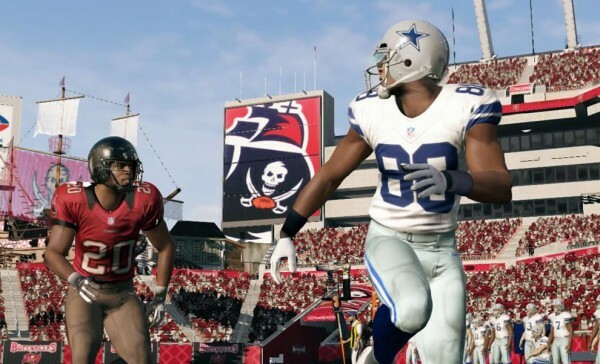 Yes, it’s a port and most should know what to expect, but does this Madden’s new tricks warrant a look, or is it just one franchise’s attempt to cash in on a new console? Well, grab your pork rinds and Gamepads as we look into Madden 13 for the Wii U.
Madden 13 for the Wii U at it’s core is essentially the same title that released back in August for the Xbox 360 and Playstation 3. Even though the Gamepad is involved, controls are mapped out to the face and shoulder buttons, and those new analog sticks work well to get your player down the field. Players can also choose to use the Nunchuck and WiiMote combo as well as the Pro Controller, but the Gamepad is the ideal way of traversing this grassy lot. The Gamepad could have been an afterthought for EA, but surprisingly, this controller was used effectively for the game and adds a great deal of convenience to the user. When using the Gamepad with the television (as there is a standard detached mode), the playbook is literally in your hands and it has never been easier to shuffle through plays, with all mapped out onto the touchscreen menu. After a play is chosen – there is also an option to take control of a player and move them to a new area with the touch of a finger. Want to sack a quaterback? Well, that is an option as you can set specific players to target anyone on the field for a quick blitz. Want to just run in circles? Well, there is an option for that, too as players can draw a line for their offensive player to run and then watch as the play takes place on the field. It’s a well thought out mechanic that benefits the gameplay greatly, and adds a lot of fresh life the archaic yet solid formula of Madden. The downside of the Gamepad comes in the form of local multiplayer. Say you have a friend who is taking control of a team on the pro controller. While you gleefully skip through your touchscreen menus, they will be stuck with the old playbook controls of the past, which is a bit inconvenient to say the least. There was a bit of balancing implemented that completely eliminates the audible play features for the touchscreen to make things fair however, so it was nice to see a little attention provided for the particular element. It’s not really the developers to fault for this due to the single touchscreen controller, but with a game like Madden, things need to be completely equal for all involved or else the envy will come out against the unlucky one holding that fancy controller. The RPG-esque Connected Careers mode is also included, letting players recruit a team of 32 players from the past and present using several different personas – such as even John Madden himself. Connected Careers Mode is one of the most expansive features within the game, as it allows the player to either participate as a coach, or an actual NFL player. This player option is pretty standard fare for the most part, as one will be able to create their own legacy by writing their own history when it comes to draft decisions for teams, and then gather experience points by playing games and drills that is used to bulk up your characters abilities. The player will then continue up the ranks until they hit the Hall of Fame or retire, and even then the option to restart is readily available, offering further replay value with this portion of the mode. Coaching is a bit more advanced, as the player has more options and can play as any position during a game, as well as recruit, trade, and manage their overall team. Experience points are used in this area to exchange for perks and new coaching abilities, assisting in getting your team up the ranks. 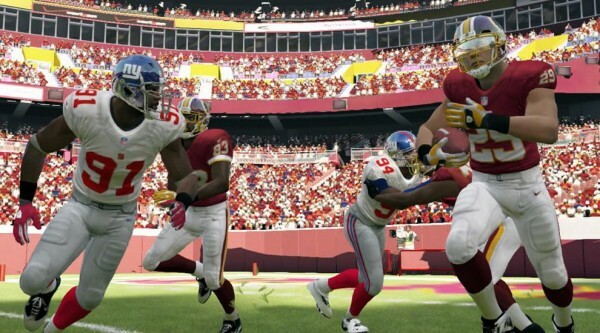 With every plus comes a minus sadly, and some features that were in other versions have been left out entirely for the Wii U. Madden Ultimate Team has been scrapped entirely, and the Infinity Engine’s removal makes this version the lesser of the three due to how revolutionary it was for the series. 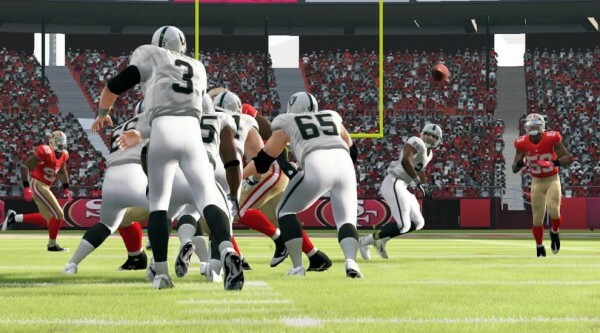 With that said, Madden NFL 13 is still a solid experience that holds up gameplay-wise to it’s other console kin – even under those conditions, but the loss of those features harm the online greatly, leaving us to wonder why cuts were made for a port that was placed on an equally powerful console. As far as the visuals go, things are a bit of a mixed bag. With the lack of the Infinity Engine, animations are a bit sub-par compared to other versions and feel dated as a result. The multi-vector lighting however keeps the field looking authentic, with the sun brightly gleaming down on the field and shadows taking full effect to make the game feel as authentic as the real deal. The player models are well done for the most part, but I did notice that the faces, skin and hair – oddly enough seem to have a heavy downgrade in quality compared to the rest of the player, and at times the comparison is almost cartoonish. This wouldn’t be a big deal if the camera didn’t zoom in after plays, but the lack of quality sticks out like a sore thumb and overshadows a good portion of the fine details that were applied to other portions of the presentation. When it comes to audio, nothing misses a beat. The subtle music in the background is just that, while the loaded amount of commentary is nothing short as impressive as players listen to Jim Nantz and Phil Simmons call the action as it happens – that is when they call the plays correctly as there were moments of inaccurate calls during my time spent with the game. Other real quarterbacks have also lent their voices to the game for a bit more authenticity, only furthering the production behind yet another solid Madden title. Madden NFL 13 for the Wii U is not the definitive version of the game to own, but still offers the best – and currently only football sim one have on their new Nintendo console. The Gamepad features were implemented greatly, and are sure to be only further improved upon during future installments, while the heart of the experience is still alive and well – despite the gimped modes. Even though the graphics are a bit of a miss, the audio is still on track and this is still one nice football game to glare at as a whole, making it feel as if you were at an actual event, looking down at players with low quality skin tones. 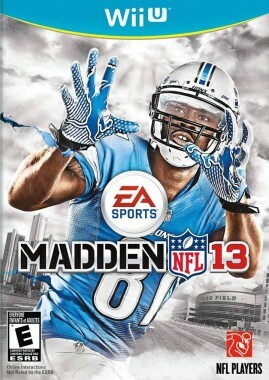 Is Madden 13 a cash grab for the Wii U? Yes, but one that fans of the sport should still give a whirl due to the new experience one lone Gamepad can provide.